While unfortunately not a remake of the 1996 Anna Nicole Smith straight to video vehicle, “Skyscraper” is a fast paced, fun popcorn flick that while not offering anything new accomplishes its mission with ease but little major advancements. 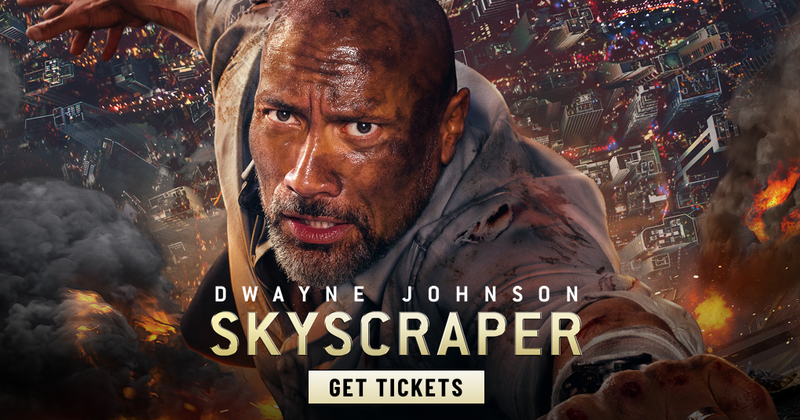 As with most trailers today and the tried and true format of the genre, “Skyscraper” is a simple plot: physically and mentally scared veteran builds a new life with his family as a security officer with his biggest assignment yet; ensuring the safety of the world’s tallest building that soon falls prey to mercenaries with his loved ones trapped in the towering inferno. It plays out as one would expect with plenty of death defying stunts, one liners galore and ample acrophobia but the heavy prologue and the ferocious takeover of the building had an unexpected intensity that was refreshing. Neve Campbell makes a quality return (who apart from the third and fourth entries of the Scream series has not had a major blockbuster or indie standout in nearly 20 years) and she delivers another enjoyable performance here and honestly feels like it could have turned in two decades ago. 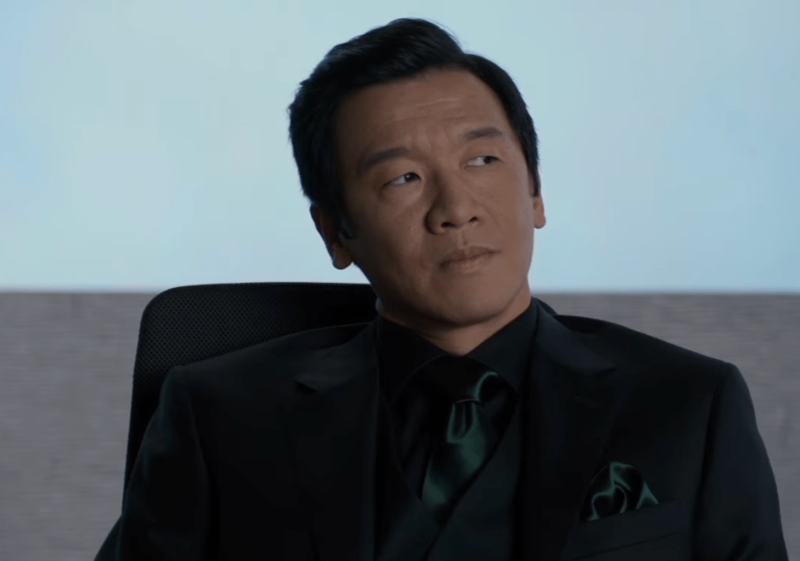 The Hong Kong location and prominent Asian cast shows the increasing importance of crossover potential with Singapore superstar Chin Han in a starring role as well as hometown hero Tzi Ma who both give great performances and are sure to boost the box office receipts overseas. Both have already had lengthy careers in American cinema and hopefully we’ll see both on Western screens more in the near future while Rolland Moller does an admirable impersonation as Hans Gruber standin, Kores Botha. Robert Elwist’s cinematography is exhilarating with Steve Jablonsky’s score providing subtle and stunning contrasts; director Rawson Marshall Thurber doesn’t astound but gets the job done. There are the obvious influences of “Die Hard,” “The Towering Inferno,” and “Speed” while due to the phobia inducing heights, the primary comparison that can be made is definitely “Cliffhanger.” Thurber is mostly known for his comedies like “Dodgeball” and “We’re The Millers” but the script is a love letter to the action empire of the 80s and 90s and “Skyscraper” probably would have been heralded as a high point has it been released. In 2018, it likely won’t become a monumental entry but for those who love non- stop action with a lot of laughs and all the important tropes present are sure to find a high here.